The National Association of State Chief Administrators (NASCA) is the premier network and resource for state chief administrators. NASCA Corporate membership provides a wealth of information, best practices and networking opportunities. We offer a culture of inclusiveness, thought leadership and side-by-side learning between the private and public sector. 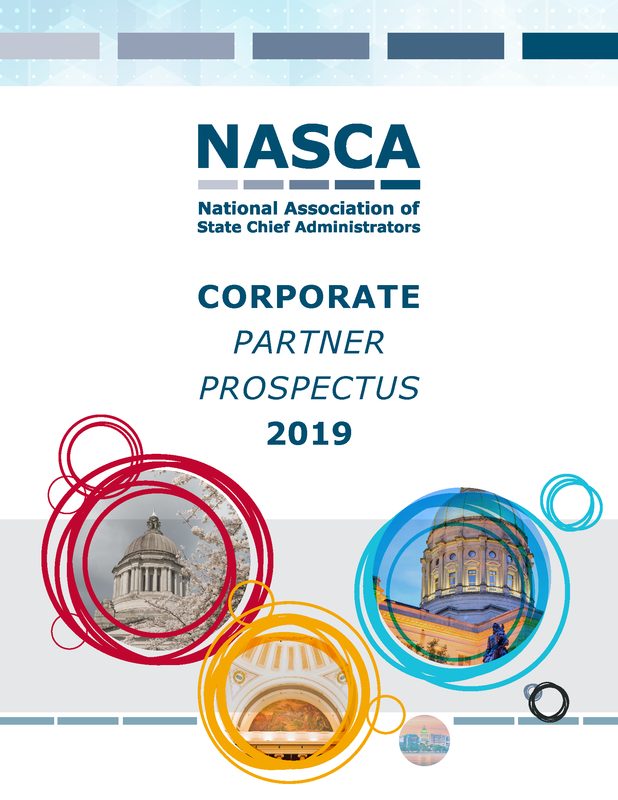 Download the 2019 Corporate Sponsor Prospectus here for complete sponsorship details. Use the link below to secure your sponsorship. Note that you may pay online or be invoiced. Payment is due within 30 days of the event.